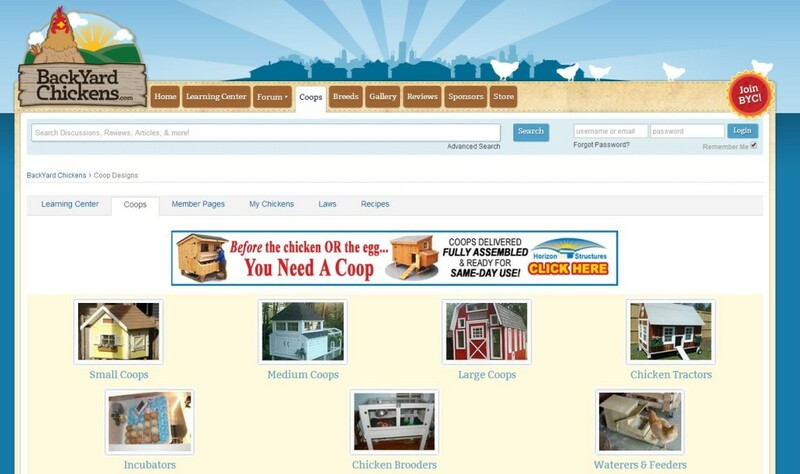 Want to build your own chicken coop for fresh eggs and poultry year-round? Check out all the plans available at BackYardChickens.Com. BackYard Chickens is a great resource for anyone interested in raising their own chickens. With resources that range from breed info to coop plans, BackYard Chickens is a great resource for all things chicken. Thanks so much for the encouragement! I’m finally back to posting and developing. I would love to see a guest post or two on the site. I actually shy away from original articles, but I could definitely find a way to use one. If you are still interested, email me at jkfairfield(at)gmail(dot)com. I’m working on a suggestion section for people who have great resources to add, but I would love to work with people to help others cultivate life in whatever way possible. I will definitely be getting back to you on that. I would love to do a post trade. Right now, however, I am actually in the process of moving to a homesteading site. You will see the post about it soon. Thanks for the feedback! Anyhow, I’m definitely happy I found it and I’ll be book-marking it and checking back frequently!